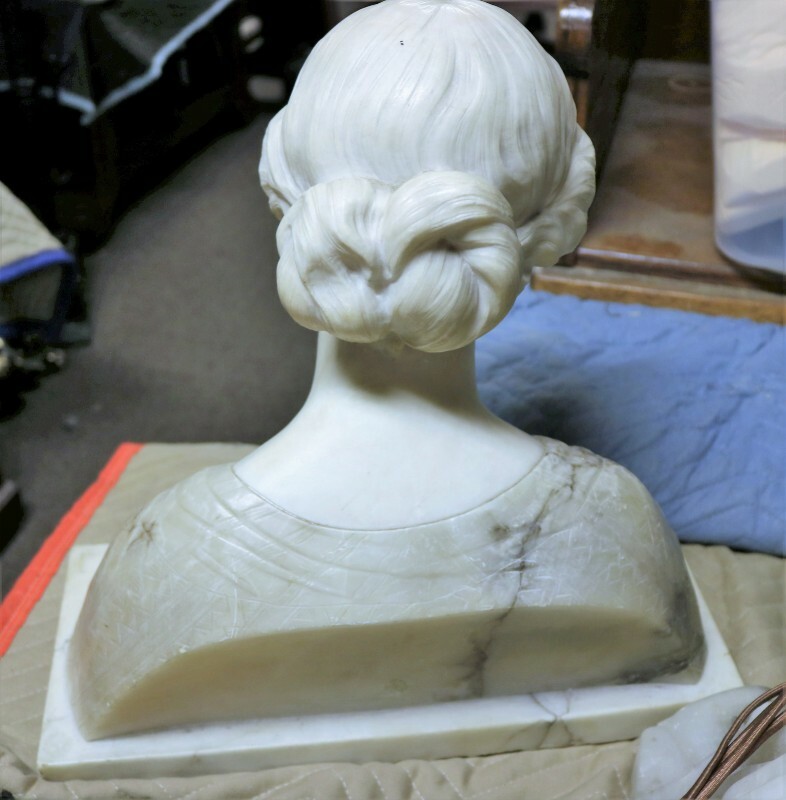 An Italian Marble Bust of a Maiden, Modestia, by Professor Giuseppe Bessi (1857-1922), depicting a crowned maiden, her clothing executed in variegated marble, the collar centered with a relief carved rosette, rising on a rectangular titled plinth. Bessi studied at the Academy of Fine Arts in Florence . 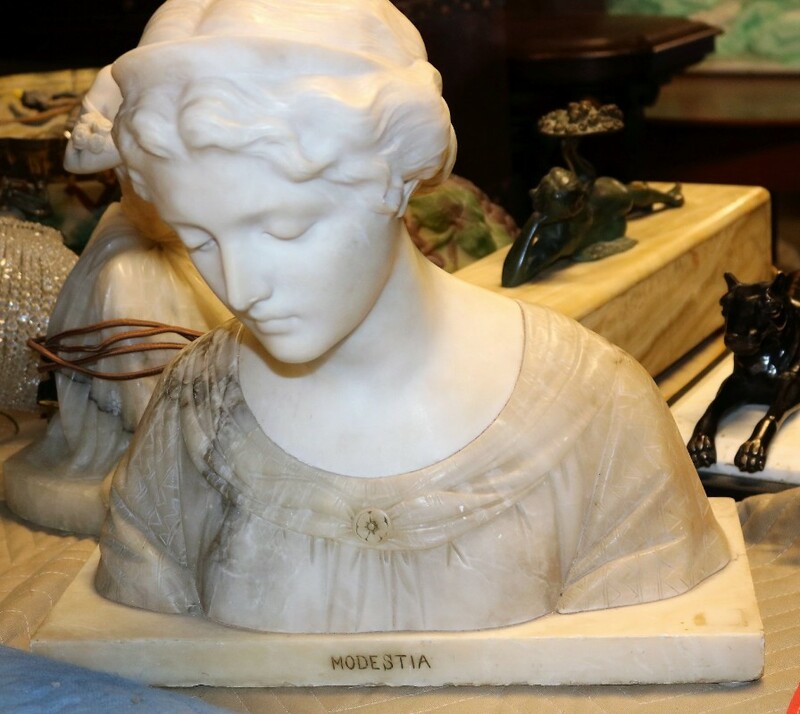 In 1879 he founded his own workshop in Volterra and mainly made busts and statues made of alabaster , marble and onyx marble . He also created some bronze statues and statuettes . He was one of the most important representatives of Italian salon sculpture. In his works, he combined forms of neoclassicism and art nouveau . Bessi was director of the Volterra School of Art from 1891 to 1910 and taught there until his death. This facility is considered the world's only art school for alabaster art. 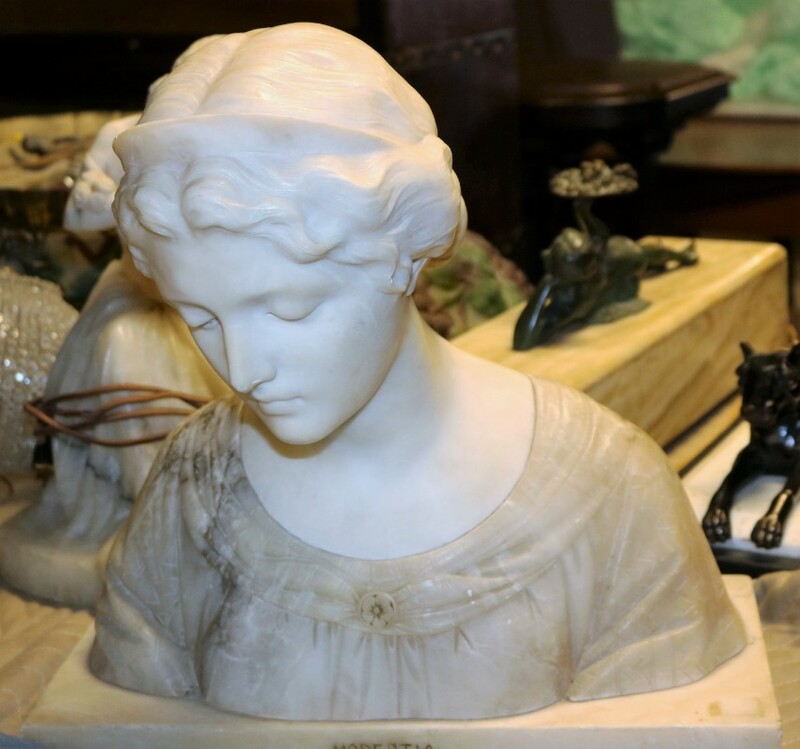 It was justified, Since close to Volterra natural alabaster has been mined and processed since at least the sixth century BC.